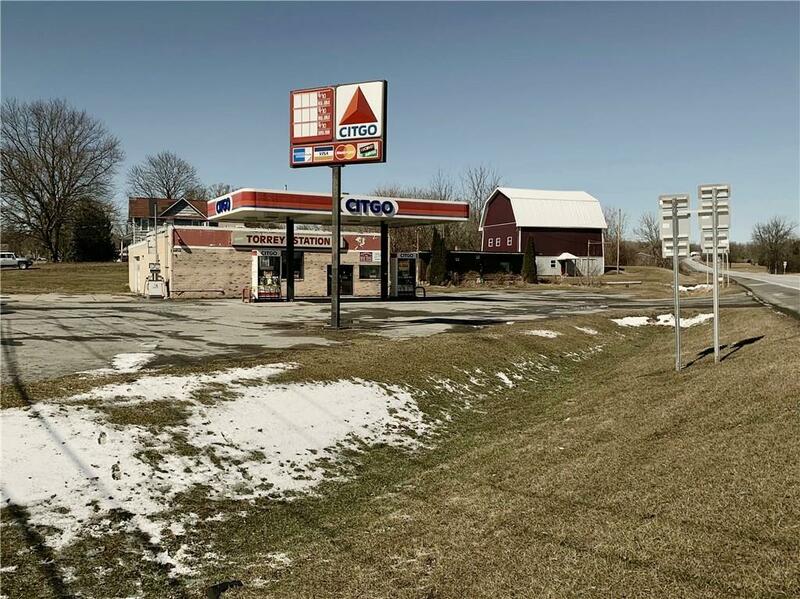 1724 State Route 14, Penn Yan, NY.| MLS# R1180037 | Largest Real Estate Sales and Property Management Company in The Finger Lakes and WNY. GAS STATION - SERVICE GARAGE - CONVIENCE STORE - RESTAURANT Prime Location on the Seneca Lake Wine Trail at the Keuka lake turn off point! High traffic corner 12000+ cars per day. Take this opportunity to monopolize multiple business opportunities on the West side of Seneca as there are currently no working gas stations on the entire 40 mile stretch of the Seneca Lake Wine Trail on the West side of the lake between Geneva & Watkins Glen. Be the only much needed market store in the Dresden, Himrod area close to 2 working factories. WI-7 Dr. display cooler, 3 Dr. freezer, shelving and service counter. Environmental report and certificate for petroleum bulk storage tanks available upon request. DEC inspected & approved supply tanks. Sold âAS ISâ. Directions To Property: Taking Route 14 Location Is Appx 20 Minutes North Of Geneva, 25 Minutes South Of Watkins Glen. Taking Route 54 Location Is Appx 8 Minutes From Penn Yan.